With the Roccat Khan Pro, the marketing is straightforward. The focus is on three things: sound quality, being lightweight, and versatility. All all three fronts, the Khan PRO delivers high quality with only one potential concern for down the road. I will tackle these three items in reverse order - first is the versatility. By default, this headset is made to be used with a PC. However, it comes with an adapter that allows for some other options as well. I was able to use it for my PlayStation 4 as well as my Xbox One and even one of my older iPhones. It uses two 3.5mm connections (one for microphone, one for audio output), not a USB device. It comes packaged with a Y-adaptor that then allows you to plug them into a single jack for console use. So it is safe to say that the versatility is there. The next topic is overall product design. 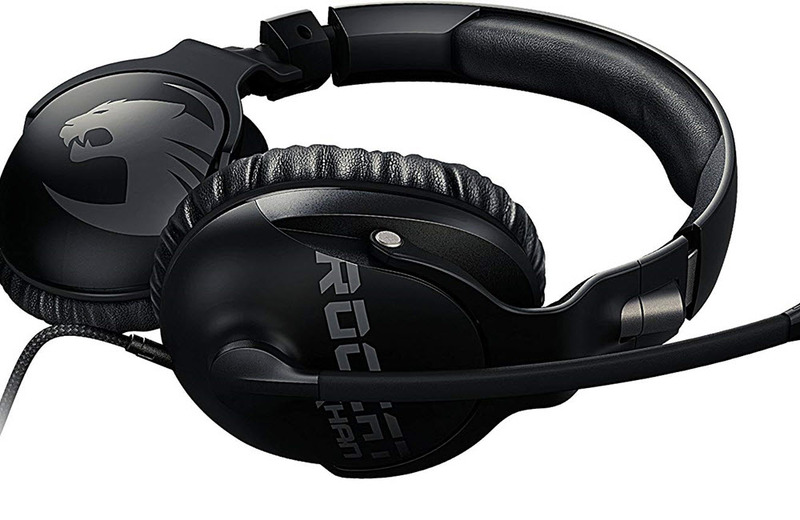 The Roccat Khan Pro is advertised as being very light in construction at half a pound. 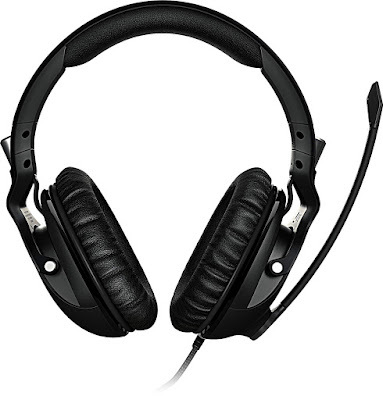 Heavy headsets have a tendency to get uncomfortable over time, and that is not a concern here. Literally hours of play later, I did not have any issues with how the Khan Pro felt on my head. This is likely aided by the headband, which is flexible. There is a stainless steel band that slides in and out of the overall headband that provides size flexibility both quickly and easily, while the headband itself has a nice cushion of memory foam on the bottom where it rests across the top of the head. The same pleather-coated memory foam also comprises the ear cushions around the edges of the cups. These cushions did a nice job of allowing my ears to 'breathe' so to speak, while keeping ambient noise to a minimum from the room I was in. The microphone is if the swivel up and down type, not retractable / detachable. I am find with that - extra moving or connecting parts can wear down over time and break, even if it is not the most attractive option as it is just always there sticking out some. It is narrow and lightweight at least, continuing the trend in the overall construction. The earcups themselves swivel to help provide greater custom fit and comfort. I love that this uses a braided cable. Flat is okay, but braided is my preference and no high end headset should just be using regular plastic insulation as things get nicked up, twisted up and break far faster than with a quality braided cable. Where my one concern comes into play, is I do somewhat question the long term durability. Please understand that this is merely speculation on my part, as I tested for a couple of weeks, not months or years. However, it is worth noting that many times lightweight and flexible can be taken as cheap or flimsy. I have used other similar headsets that started to crack around the plastic edges where the band comes in and out, and bendy microphones like this that eventually break instead. I have no reason to believe any of these things will prove out to be the case with the Roccat Khan Pro, but I can see where someone might get that impression when they first pick it up and feel how lightweight it is. Last but hardly least, we have what I consider most important, which is the sound quality. 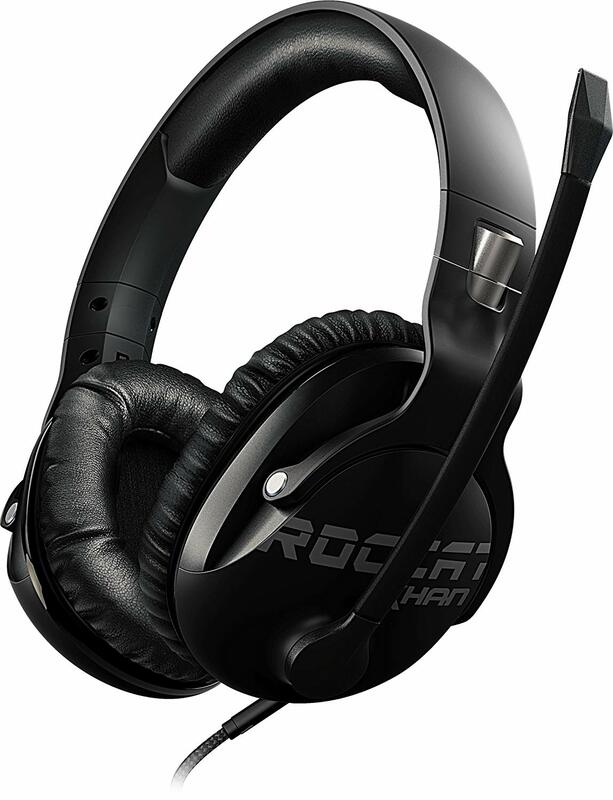 While these are not 7.1 surround sound, the team at Roccat has touted the Khan Pro as being the first Hi-Res Audio compatible gaming headset. This feels just a bit market-y as the jury is still out on whether or not there is really any benefit to high-resolution audio when compared to CD-DA, but regardless of how it is coined, the quality is very good. A lot of gaming headsets boost the bass to such a degree that the lower end of the spectrum winds up just a little distorted. That makes sense, since the players who are usually most interested in a headset are those who are listening for environmental sounds that can be key to gameplay, such as bullets or bombs going off nearby in a shooter. To my ear there was a boosting effect at the extreme ends of highs and lows, but they were crisp and accurate. It is worth noting that the microphone functions quite nicely as well. In my tests (both recording to listen back to it and when talking to other friends online), the results were consistent. Everyone could hear me well, there was no crackling or distortion and thankfully the bendable microphone is not very picky about placement in relation to my mouth. It did come across just a little bit bass-heavy, but nothing excessive by any means. The overall quality and experience I had with the Roccat Khan Pro was a positive one. The sound quality is quite good, it is very comfortable for long sessions of play and because of its adaptor, it can be used on consoles as well as a PC. It certainly looks nice (I had the all black version, but it comes in grey and white as well) as well. The primary concerns are potential long-term durability, given its incredibly lightweight build and perhaps its price point (the Khan PRO scores a bit more favourably when compared to headsets in the $80 range than the $100 that I have reviewed), but still offers a solid value and outperforms some slightly more expensive ones I have demoed as well.